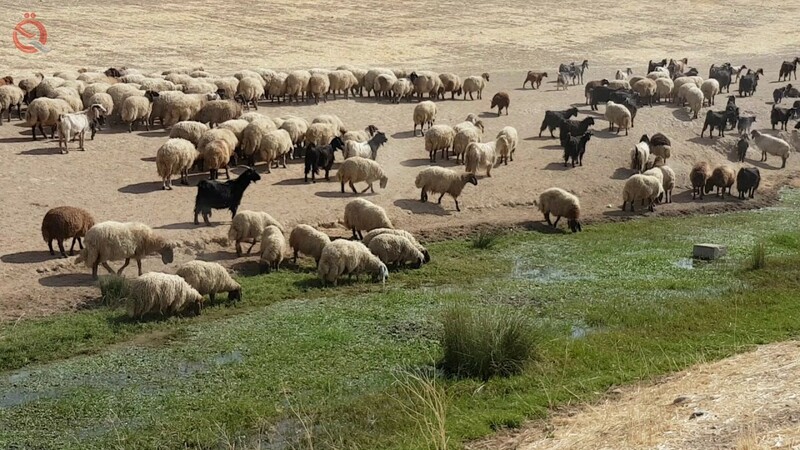 An Arab newspaper reported on Saturday that Syrian smugglers smuggled sheep into the Kurdistan region of Iraq, pointing out that this led to a rise in meat prices in Syria. "The reasons for the rise in meat prices are due to two reasons, the first is the return of smuggling to Lebanon and Jordan, and most importantly the smuggling to the area of ​​Manbj and then to Iraqi Kurdistan," the newspaper Al-Arabi Al-Jadeed reported in its report. On the offer and raise prices by 500 pounds per kilogram. " "The rainy season is also raising the price of meat, because breeders are hesitant to sell because of the availability of free grasses and grasslands as feed prices rise in the country, and they tend to fatten, unlike the seasons of drought and lack of pasture," the paper said. The newspaper pointed out that "the demand continues on the Syrian Awwas (kind of sheep) from neighboring countries, and most of what is smuggled to Jordan is re-exported to the Gulf countries," revealing that "the new season is smuggling through the areas of control of the Kurds in the countryside of Aleppo, Iraq and the Kurdish areas first. "